In 2018 the Academy celebrated it's 21st anniversary. With head instructor Paul Marston sensei having 47 years of training experience and a teaching team with over 150 years of combined experience in the various arts this is not a school of 2 year trained or juvenile programme instructors. The academy features a tatami mat room, standing arts room, boxing ring, ufc style octagon, weights area and a fully stocked martial arts and outdoor survival supplies shop. Arts taught at the Academy include Kempo jujitsu, Aikido, Boxing, Muay Thai, MMA, Judo, Kobudo, Arnis/Eskrima, BJJ, Karate and more. All classes are kept small (maximum 12 per class) to ensure proper support. Classes are available for all distinct age groups to facilitate effective learning. The Academy also routinely hosts visiting master instructors in many styles. 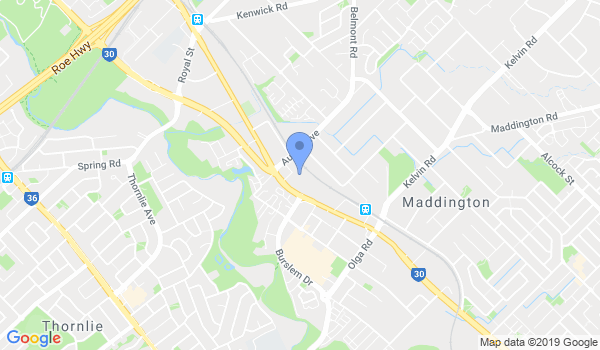 Aiki Jitsu (Aikijutsu), Aikido, Arnis/Kali/Escrima/FMA, Brazilian Jiu-jitsu & Jiu-Jitsu (Jujutsu/Jujitsu) classes are available in Maddington for children and adults. Daytime and evening classes offered all year round on various weekdays. Please contact Sozokan Academy of Martial Arts & Fitness for exact class hours for different age groups. Would you like more information on hours, classes and programs available at Sozokan Academy of Martial Arts & Fitness? Please contact the school with your questions. Update the details, Write a Review or Report Error of Sozokan Academy of Martial Arts & Fitness. This Chart shows the Martial Arts Styles offered most in Maddington, Australia area. View a list of Dojo in Maddington, or enter your address below to find schools closest to you.